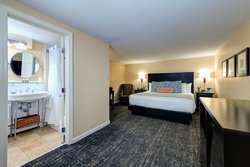 Choose a touch of indulgence with a larger bed and more room to relax! 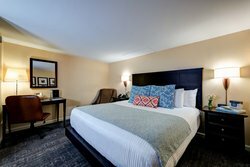 Kick back and unwind in this King Room with an expansive and plush king-sized bed. 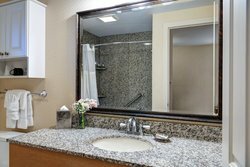 During your stay you will delight in making use of the numerous in-room amenities. 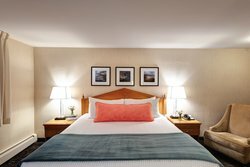 Receive a great night’s rest with luxury linen and premium pillows, and find yourself comforted by modern furnishings and a sleek design. Feel welcomed by our friendly staff who are always ready and willing to provide thoughtful advice on the local area, our amenities, and more. 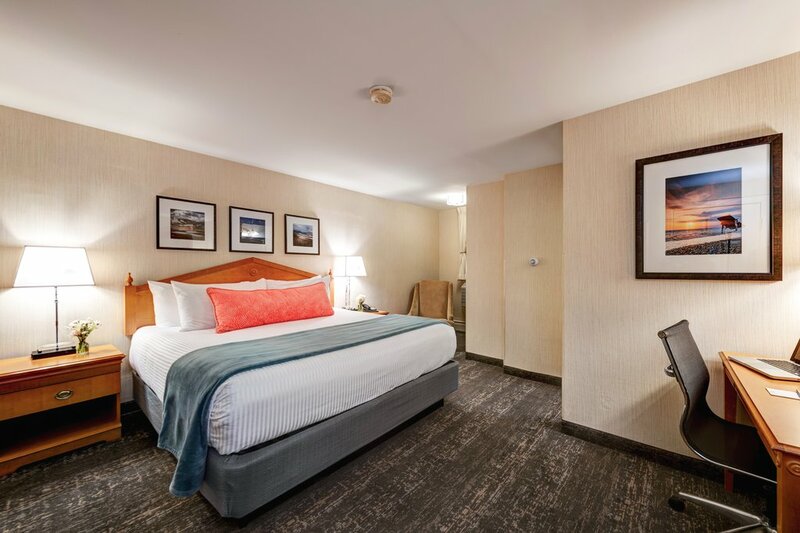 A stay in our King Room promises high-speed Wi-Fi, a 32’ flat-screen TV to enjoy in the evenings with premium movie channels, along with a desk and chair. 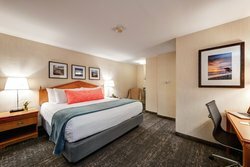 This room is ideal for a traveling couple or for the modern businessman who enjoys a little extra space at night to sleep off the stress of the day. 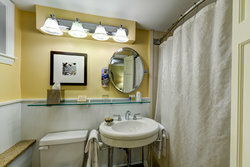 Plus, enjoy complimentary bath amenities awaiting you in your bathroom. Our amenities don’t stop at the door. 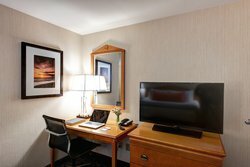 Enjoy premium on-site amenities like complimentary breakfast, an outdoor pool and sundeck, outdoor spaces, and a well-equipped business center with computer access, as well as printing and scanning capabilities.